Magnet Sport Schedules - Baseball Shape (3.875x7.25) - 20 mil. 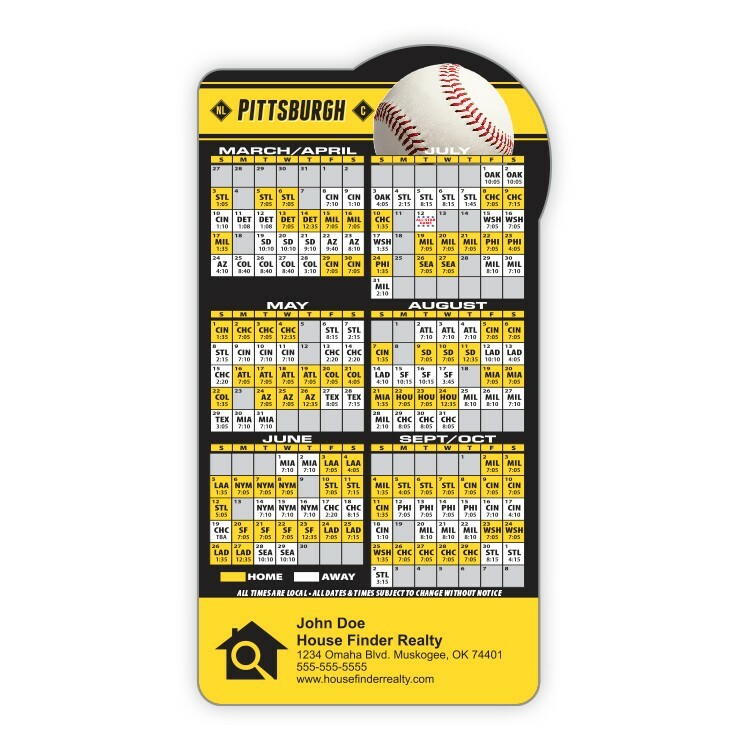 Available with the schedule of any of the major league baseball teams, you can have an instant imprinted gift item for trade shows and sales meetings, or use for sales calls and prospecting. Personalized with your services and contact information, magnets are an effective marketing tool. Magnets keep selling long after other products have been tossed away and forgotten. Magnets stick to refrigerators, filing cabinets, appliances, vending machines, lockers and any other metal surface. 25 mil thickness will hold paper, pictures and more. 3.875 in. X 7.25 in.